Spring is an ideal time of the year to enjoy Portugal’s beautiful capital. The weather is warm, but not too hot and with the days getting longer – you have more daylight hours to explore the Cities attractions. Packing a capsule wardrobe for your Spring Holiday is one thing, but narrowing down your Nail Polish Collections is quite another – especially when subject to weight limits and carry-on restrictions. So we have compiled a selection of the very best Nail Lacquers to streamline your on-the-go nail stash. From a provocative peach to a sunshiny yellow, you’ll find everything you need to check-in and fly – no emergency airport stops required. It’s not too early for Spring.. We’ve decided. So let’s steal a look at OPI‘s first 2018 lineup! With one heavily influenced Nail Polish Collection, Portugal has managed to win our hearts. From the quiet coastal towns of the Algarve to the bustle of Lisbon’s Bairro Alto district at night, the vibrant colours of the landscape seemed to match it’s energy. We can’t help but visualise the colourful tiles, amber sunsets and turquoise oceans of Portugal – and we know that this NEW Nail Polish Collection is going to do exactly the same to you too! Introducing a colour palette that is sure to lift your spirits and brighten your day. 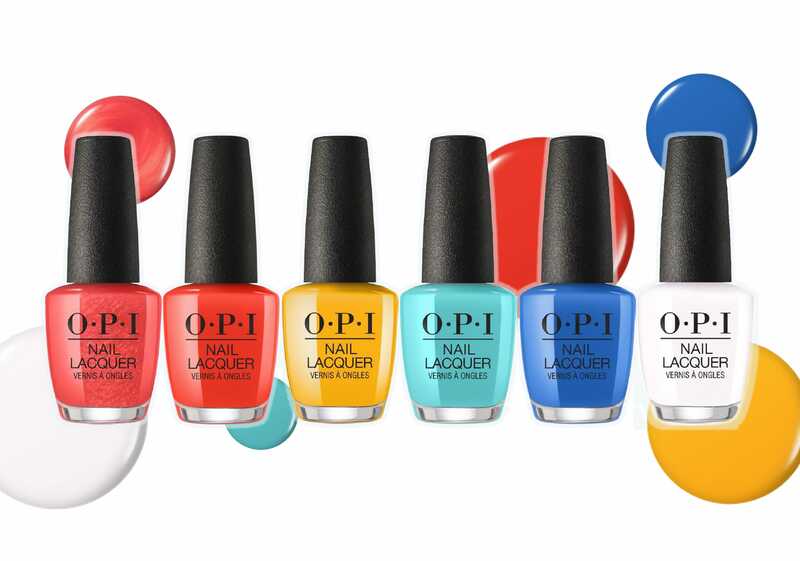 These saturated splashing hues match in both OPI Nail Lacquer & Infinite Shine. “Made It To The Seventh Hill!”, “Lisbon Wants Moor OPI”, “You’ve Got Nata On Me”, “Tagus In That Selfie!”, “No Turning Back From Pink Street”, “We Seafood And Eat It”, “Now Museum, Now You Don’t”, “A Red-Vival City”, “Sun, Sea And Sand In My Pants”, “Closer Than You Might Belém”, “Tile Art To Warm Your Heart” and “Suzi Chases Portu-Geese”. “Made It To The Seventh Hill!” – Your nails will peak with this soft golden rose. “Lisbon Wants Moor OPI” – Encore! Encore! 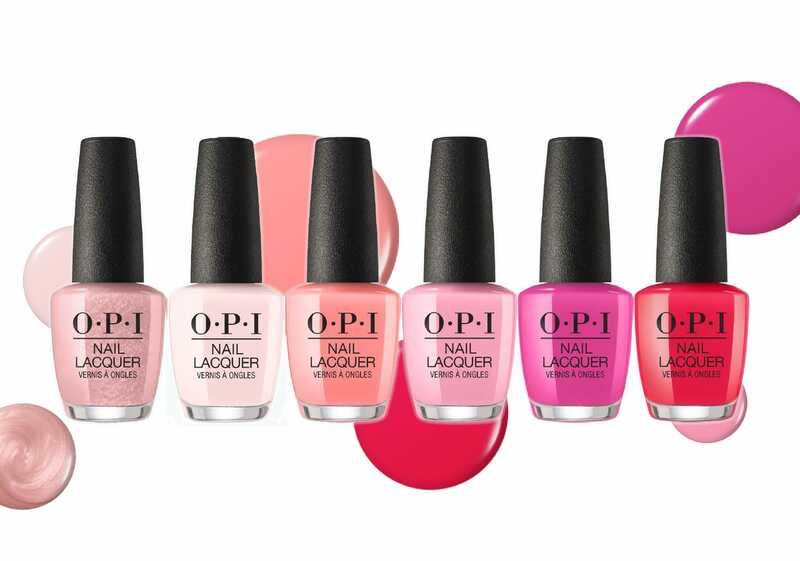 Your nails will demand “Moor” from this delicate pink. “You’ve Got Nata On Me” – Maybe not, but this provocative peach will tell all. “Tagus In That Selfie!” – Impossible to hide behind this bright pink. You’re tagged! “No Turning Back From Pink Street” – Dance ’til dawn in this fabulous magenta. “We Seafood And Eat It” – Lobster never looked so good. “Now Museum, Now You Don’t” – We love this metallic red so much, we’d wear it for centuries! “A Red-Vival City” – A red that never needs a comeback. “Sun, Sea And Sand In My Pants” – Shake it off & enjoy this sunshiny yellow. “Closer Than You Might Belém” – We’ll travel land & sea to get this coastal sea green. “Tile Art To Warm Your Heart” – Tile your nails with this exciting mosaic blue. “Suzi Chases Portu-Geese” – White to excite. No more wild goose chase. OPI Lisbon is where Spring blushes and floral fuchsias come to life, images of terra cotta facades begin to appear and where sea meets city. Be inspired by one of Europe’s most colourful cities. A collection that emphasises Lisbon Portuguese attractions & the unique culture and cuisine, taking you to the perfect destination to live out your colourful holiday this Spring 2018. It’s time to indulge in colours that represent all of Lisbon’s main attractions. For a perfect polish, apply one stroke of Nail Lacquer down the centre of the nail – followed by one stroke along each side of the nail. Prime: Apply one coat of OPI Infinite Shine Primer Base Coat. Lacquer: Apply two thin coats of pigment-rich, OPI Infinite Shine Nail Lacquer. Gloss: Apply one coat of Gloss for a durable finish that cures in natural light.